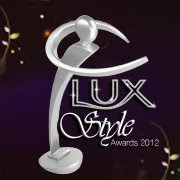 Lux style awards are one of the biggest events of the Pakistan fashion industry. Now 11th Lux style awards are going to be held for which various nominees in certain categories have been devised. Shoaib Mansoor’s “Bol” is nominated as best film in all the three categories. The nominations for best song, album, TV serial, TV actor, music director etc have been made. This award show will be on-aired in the last of this month and will surely give you a piece of entertainment.